Problems are best solved by those who have experienced the pain firsthand. It started with a retail store. In 2007, MaryLiz founded what became a multi-million dollar women’s and children's omni-channel retailer. 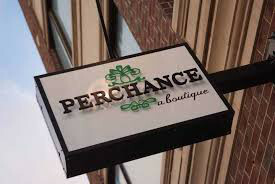 The Perchance team differentiated on unparalleled client service and curation, earning accolades in InStyle and the New York Times as one of the top boutiques in Chicago. The styling team knew intimate details about their top customers; which styles to recommend for certain body types, how to outfit each of them. Clients asked for closet consultations and would literally get dressed from the personalized (and laminated) lookbooks made for them. Their top client actually lived in Canada and shopped 100% remotely with Perchance's top Stylist who used email, text, phone, links and Powerpoint to provide a service that her client could not get elsewhere. While powerful, that level of service and personalization was not only time consuming, it was a clunky experience for customers and there was no seamless solution to bridge the gap between personal service and the growing e-commerce channel. A vision for the tech After 7 years in business, MaryLiz saw an opportunity to build technology that would enable relationship-based retailers and Stylists to provide differentiating, client-centric recommendations, digitally. After learning how to code, she was introduced to her talented co-founder and CTO, Ross. He was most recently part of the engineering leadership at Trunk Club and found inspiration in creating a scalable platform powering Small Businesses and Independents to monetize their expertise, efficiently. The team comes together Meanwhile, busy and working Mom of 2, Serena, keeps dreaming of a solution where an app could digitize her closet and someone she trusts could tell her what to wear. Introduced by their husbands, MaryLiz & Serena bond over a dream of creating inspired and personalized mobile commerce experiences. This is the founding story of Pixavo, born in 2016. PIXAVO is the all-in-one mobile commerce platform for relationship-based consultative sales. Modern and visual clienteling, messaging, digital styling, branded client experiences and digital assets at your fingertips - wow your customers with personalized recommendations and make shopping easy. ©2019 Pixavo. All rights reserved.